God is working in ways both visible and invisible. We see the work that God calls us to do every day. We know the people we have taught, the prayers we have prayed, and outreaches we have prepared. Sometimes, we see immediate fruit from those efforts, and it is beautiful. But, we also see the work God is doing in other avenues. Once in a while, someone seeks us out, because the Holy Spirit is convicting him, and he wants answers. Another person will come to us wanting to hear more of what she once heard from another missionary or pastor years before. We see only what is before our eyes, but we love the glimpses God gives us of what He is doing in myriad ways in hearts in our town and around the world. The Parable of the Sower is so true. Recently, we skimmed through prayer letters we’ve written over the years. It’s sad to see that some people who have made professions of faith in the past no longer come to church or display any spiritual life. Today, we still celebrate with great joy any time people profess faith in Christ. However, we pray more fervently than ever that their conversion would be genuine and that they would be fruit that remains. Most weeks, the work is mundane. We fill our schedules with activities and people, hoping to see the Holy Spirit break through in people’s lives. While we cherish the more spiritual-looking moments (a salvation, a baptism, etc. ), there are many moments that are simply “taking care of business”. We spend two hours in line at the customs office retrieving a package of Portuguese Bibles. Having people over for a meal and counseling requires the less glamorous tasks of grocery shopping and cooking. We prepare lessons, have Bible studies, meet with people, pay bills, clean the church, send messages, make phone calls, give people rides, type these prayer letters, and do all the day-to-day acts of life. In the years of mundane, we see the miracles God does in our midst. The people are the hardest and best part ministry. Often, the missionary approach to people is counterintuitive. How do you respond to the lonely old lady who calls you every day to talk about her bladder problem? What do you do with the church lady who hurts you and everyone else with her tongue? 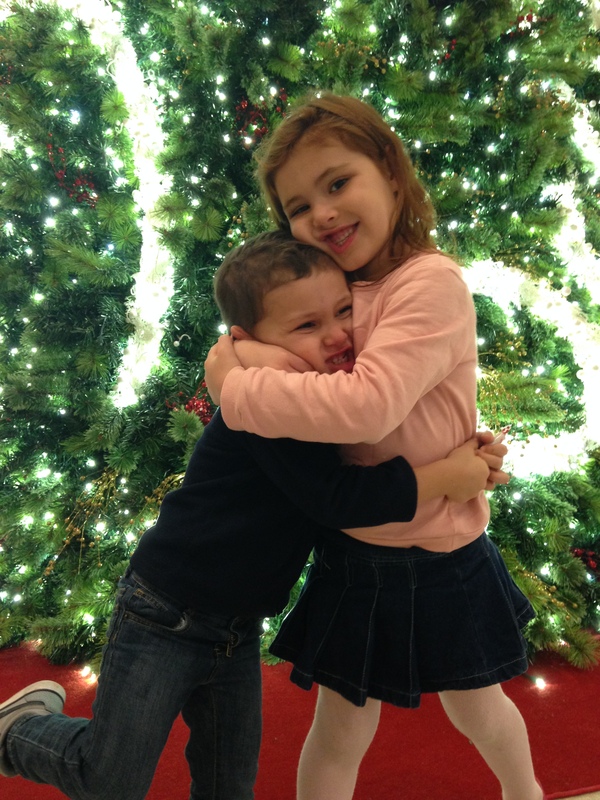 How do you treat the children who ask for a ride and a hug, but you can see the lice crawling on their head? You avoid them, of course! That’s the natural thing for any of us to do. Even though we’re missionaries, we feel the same way you do. The phone calls drive us nuts, the mean lady hurts us and our kids, and we hate getting lice as much as you do. But, instead of running away, we run toward these people in obedience to God. We listen to and pray for the lady who is lonely. We get to know the mean lady and gently confront her with the sin root of her words. We learn about lice prevention and treatment, and teach our children (and ourselves) that a soul being saved is worth some itching on our part. People hurt us, make us dirty, and mess up our preferred schedules, but they are also the only thing we can take to heaven. We have cried from sadness over choices people have made, but we have cried so many more tears of joy over seeing people be saved, be baptized, and choose to obey our Lord. There is nothing more encouraging than knowing people are praying for us. When one of you writes to us that you are praying for the people in our town, our church, our marriage, or our children, it encourages us more than you can know. We are people just like you. God is our Great Comforter. However, in the absence of family or our best friends, just a word from you that you are praying lifts our spirits and helps us keep going another day. There is no place we would rather be than right here. Do we miss American food? Yes. Do we miss speaking English and not being the foreigners? Yes. Would it be easier to stay in America? Probably. But, we believe Portugal is where God wants us, so there is nowhere else we would rather be. We have perfect peace that we are in His will, and that is always the best place to be. We arrived seven years ago with a lot of dreams, all of which God has allowed to come true: He has started a hearing church in our town; He has saved some deaf people and begun a work among them; and He has given us children. We are humbled and grateful because of the work He has done here in Portugal, and we look forward to seeing what else He will do. What a great summer! We asked you to pray for all the activities. Are you ready to hear what God has been doing? In June, we had a group from Texas come to work with the deaf. They did presentations at 2 deaf associations and our church, hung out with deaf people in several settings, and even held an overnight retreat for the deaf. Boy, did Satan ever fight this team! Just weeks before they came, the team’s lead pastor broke his leg in two places, keeping him and his wife from coming, and reducing the team to just 4 people. Sickness hit our family, having us in the ER twice and knocking one of us out of participating the first two days. Strange situations happened with cars, keys, etc. The Portuguese deaf who had been excited about the team coming suddenly had every excuse not to attend the meetings. It felt like Satan was doing anything to keep this team from ministering here. Despite it all, we prayed and pushed forward. And God surprised us. Because the team was with us, we got special permission to attend a senior citizens event at the deaf association. The whole time, we felt like it was a big clique, and we were in no way wanted there. We tried chatting, but most of the deaf there preferred watching TV or playing checkers or billiards with their cronies. One deaf man was friendly, though. He is from India, and his name is Nileshdarji. We invited him to our deaf retreat that weekend. We had planned for up to 30 people. 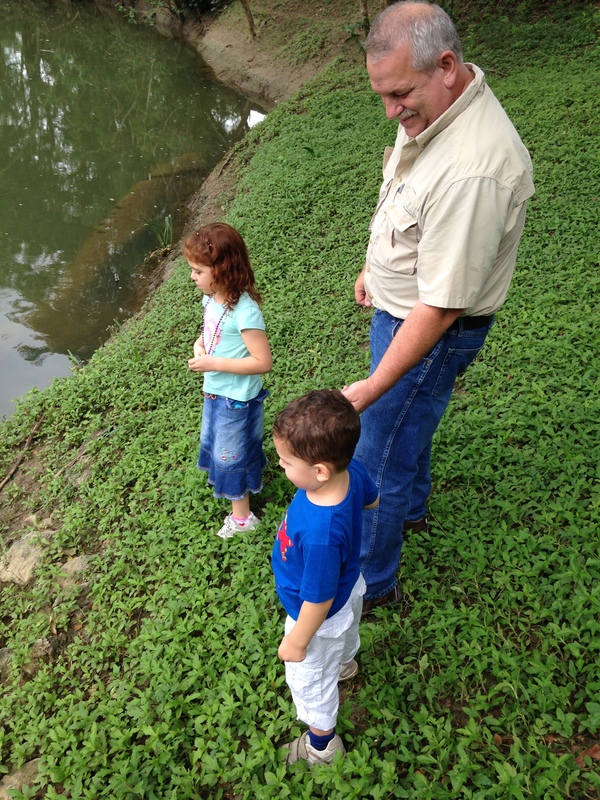 God brought 3 . . . But one of them was Nileshdarji. For 2 days, we had almost uninterrupted time to talk to Him about the Lord. He was Hindu, but on Sunday he asked Jesus to save him! Since then, he has attended church and Sunday School. We are working with him to make sure he is seeing Jesus as his only Savior, not just adding him as another god in his life. We rejoice in God using the team to reach Nileshdarji! Please pray for his spiritual growth. Last week was Bible camp! This year was amazing, in large part because of a mission team that came from Kansas. They couldn’t speak Portuguese, so they couldn’t minister directly with all the campers, but they served in dozens of ways to free up the missionaries to work with the campers. Because the team cooked, washed dishes, life guarded at the lake, set up games, pitched tents, and baby-sat our own children, we missionaries could sit down with campers to talk about their devotional life, swim with campers while talking about their testimony at school, give lessons, lead music, and spend most of the time investing directly in the campers instead of coordinating logistics. It was a beautiful week! Of the 10 campers we brought, 3 of them accepted Jesus as their Savior! Hot days at camp! One day it reached 108 degrees. –Vinicius had heard the gospel all his life. Last year at camp, he felt convicted to receive Jesus as his Savior, but lacked the courage to do so. This week at camp, he asked Jesus to save him, and boldly told of his profession of faith to the whole church this past Sunday. –Beatriz asked Jesus to save her a couple years ago, because she had seen her sister and her sister’s friend, Joana and Paula, do it. This week, she asked Jesus to save her, not for them, but for herself. 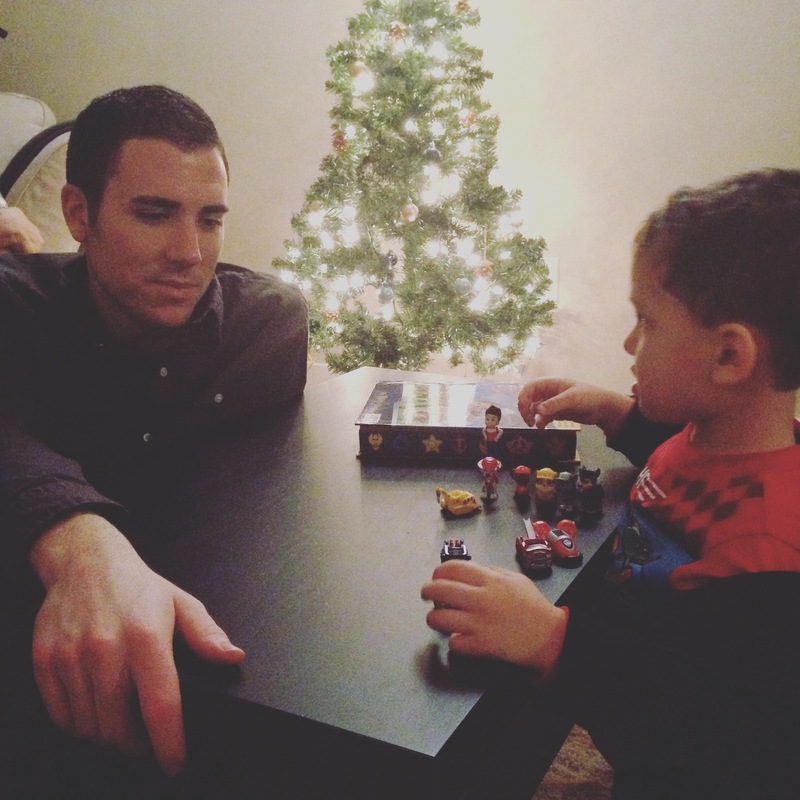 –André has visited church and Bible club a few times. All this is new to him, but he asked Jesus to save him this week, too. 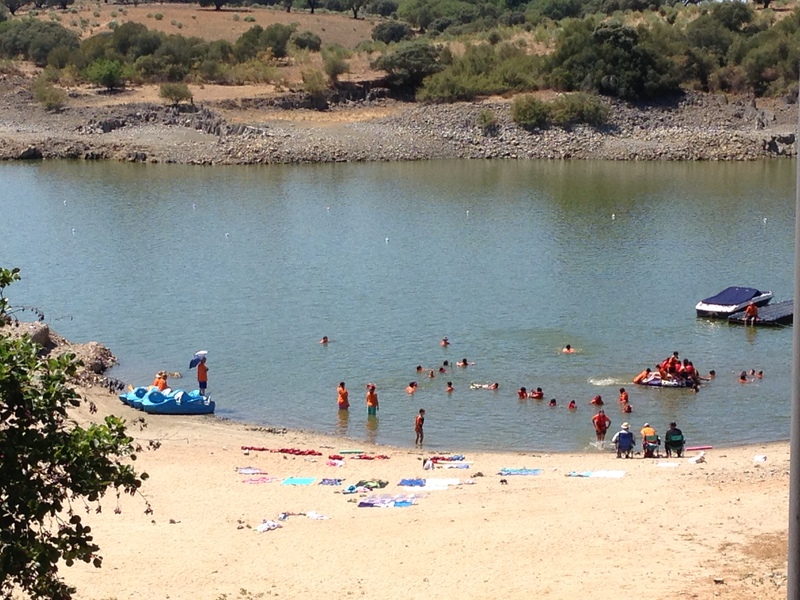 –A six-year-old boy, Timóteo, attended kids’ camp a different week, and he got saved, too. In the end, God used two mission teams and your camp sponsorships. He heard your prayers. In His grace, He saved one man, two teenagers, a boy, and a girl this month. Five more people in Portugal are His children. Thank you! Thank you, God! School’s out! During the past school year, I taught religion and morality in two schools in our town. 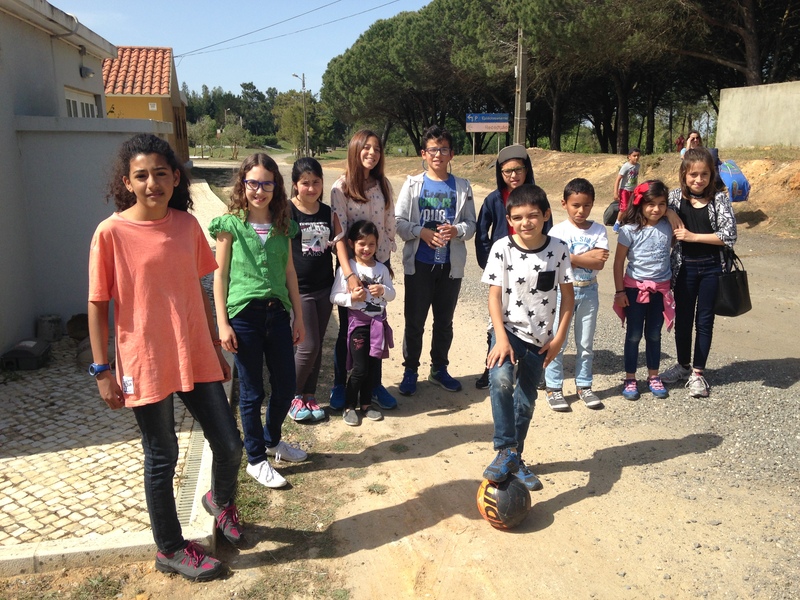 (Public schools in Portugal offer these classes as electives). While my classes were small, the time was well spent, as I had many good conversations about the gospel with my students. Plus, teaching in the schools is a good testimony in our community and a way to meet more people. 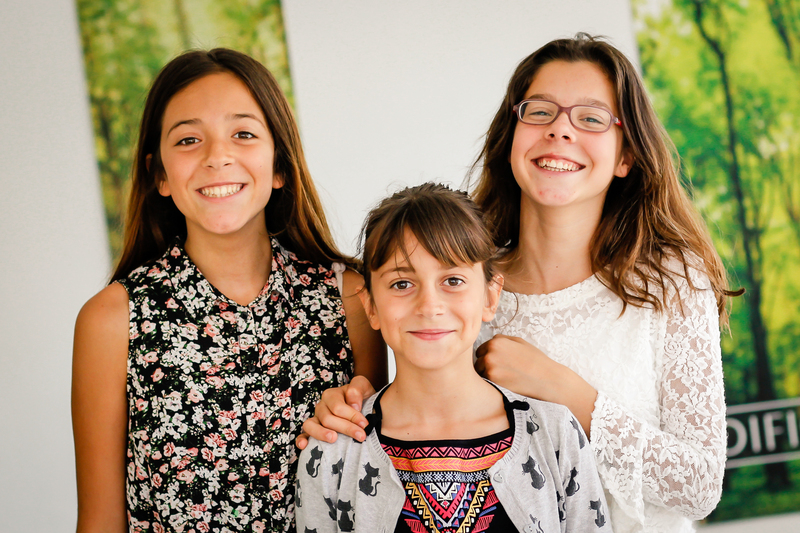 Pray especially for Victoria, a student who would often bring four or five friends along with her to class. We’ve asked prayer for her before, and now we ask again that you would pray for her salvation. I also taught Old Testament Survey at a seminary. 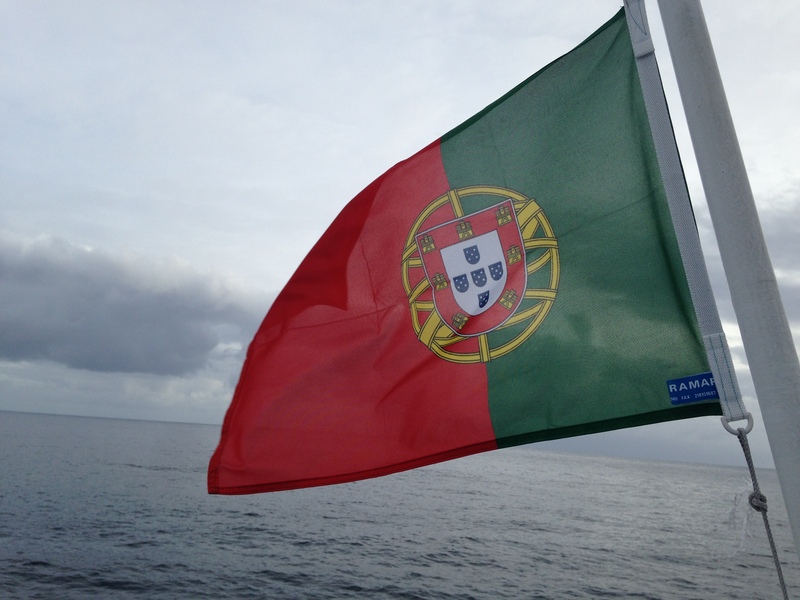 During the fall semester, I taught a class on campus, but during the spring semester I taught through distance learning to ten students in the Azores (islands in the north Atlantic that are a part of Portugal). Every Friday night, I sat in my living room and taught for three hours through a web cam to the students who gathered in three locations on two different islands. Despite the distance, the class went well, and we all enjoyed the experience. I promised the classes that I would come and visit them, and, over the past couple of weeks, I did just that. It was a joy to meet the students face to face and get to preach and teach in their churches on their islands. It was encouraging to see what God is doing in their lives. Fátima and the pope. Last month, Pope Francis came to the village of Fátima, Portugal, which is one of the most important shrines in Roman Catholicism. The pope’s visit captivated the attention of most of the country. 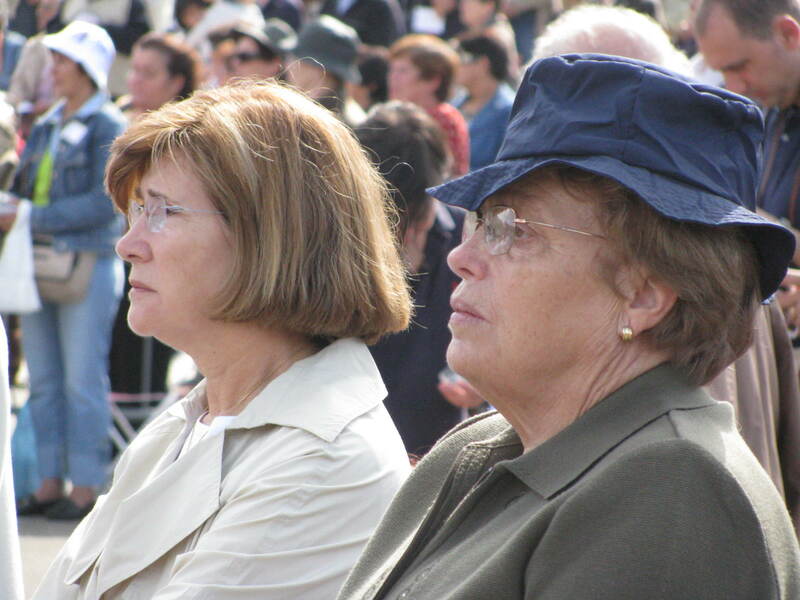 Millions stopped to watch the proceedings, and hundreds of thousands of pilgrims went by foot to Fátima. 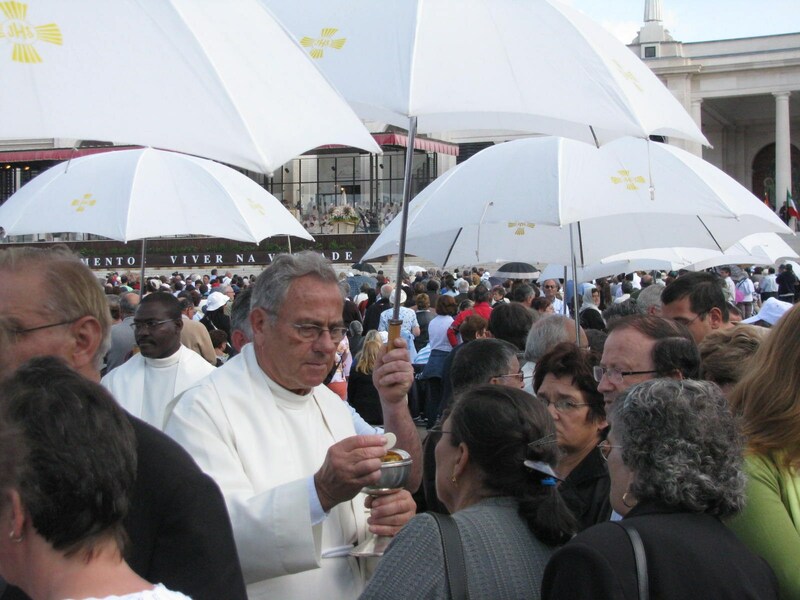 Portugal is increasingly secular, but Catholicism remains strong in many parts of the country. I’ve visited Fátima several times in the past, and always left saddened and overwhelmed with a feeling of helplessness. How do you make a difference with something that seems so vast and deeply entrenched in a culture? But this time would be different. 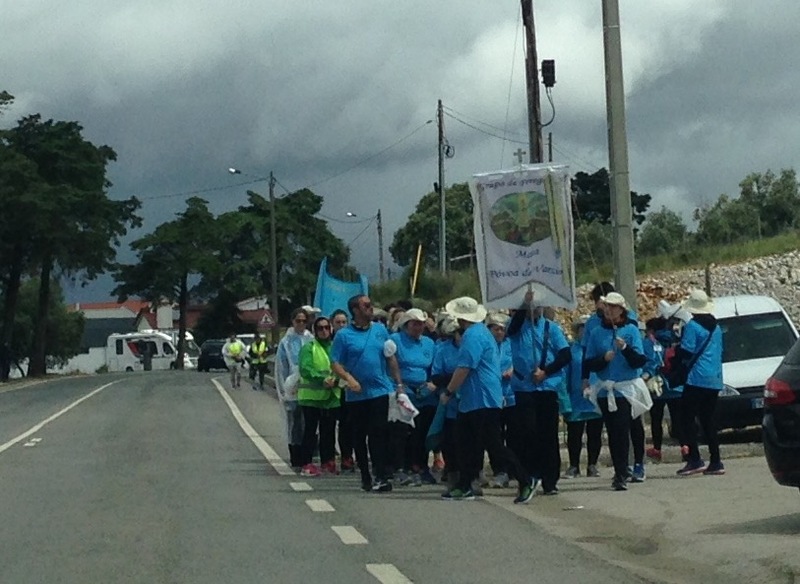 I joined an evangelistic team that was doing a special outreach to the pilgrims walking to Fátima. 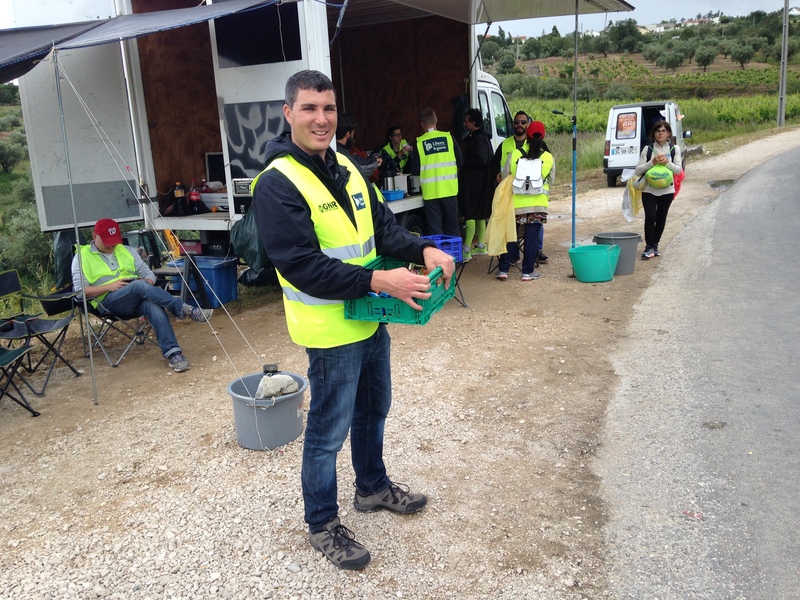 Eight of us spent the day on the side of a road handing out water, coffee, tea, and fruit to the thousands who passed us by. We sang songs, prayed, and handed out gospel bracelets with a tract. It was sad to see the many groups of pilgrims praying to Mary or singing songs to Mary. Mary was receiving all the attention and affection that is due only to Christ. While we will only know in eternity the effect of our work that day, it was a joy to share the gospel and that Christ alone is sufficient for all we need. Camp and Deaf team. Summer is a new season of ministry filled with camp, Bible clubs, and mission teams. Pray especially for a team from Texas that is coming to work with the Deaf. 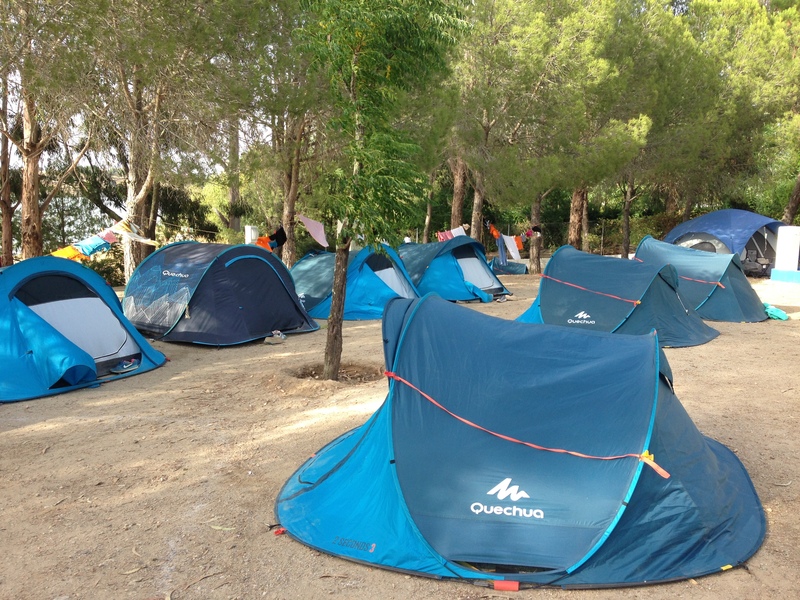 We will have many activities including an over-night retreat. 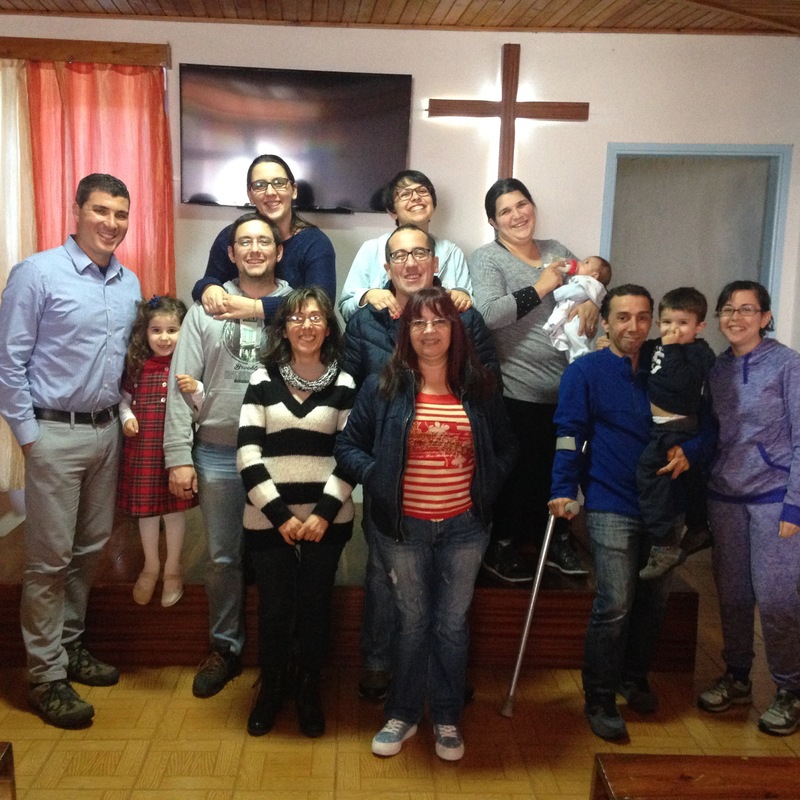 Pray that this team will be used of God bring an awakening among the Deaf in Portugal. Pray also for the many kids and teenagers that we work with that will be going to camp and Bible clubs. 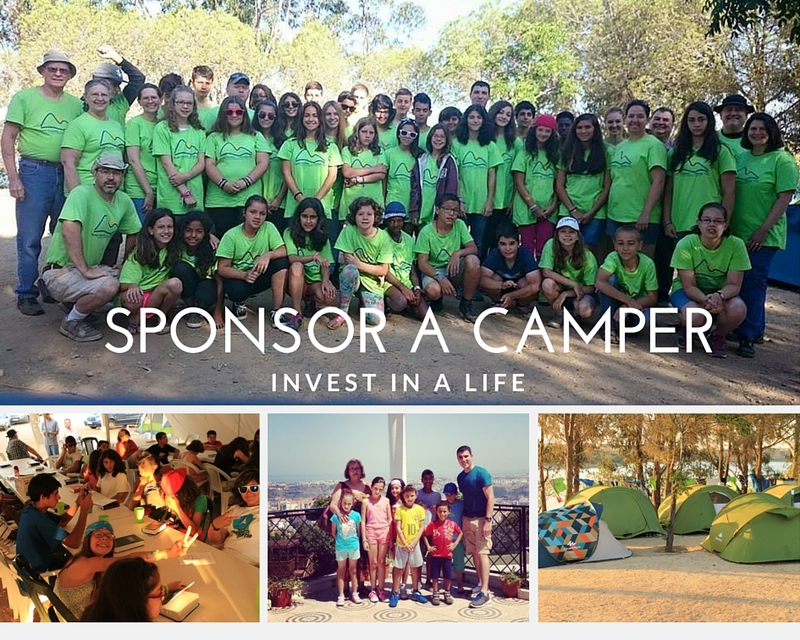 Speaking of camp, we want to invite you to sponsor a child or a teenager and send them to camp. For the past three summers, many of you have given generously to this ministry. If you are able to and choose to help, you will receive a personal, handwritten letter from the child or teenager you sponsor, in addition to their picture and a link to see a video recap of the week of camp. Also, each camper is doing a scholarship program where they have to learn verses and do service projects to earn their way to camp. We will have at least 25 kids and teenagers attending several different camps throughout the summer. Giving is easy. Just click the “give” link below. Any amount is appreciated, but $50 covers the cost of one camper. 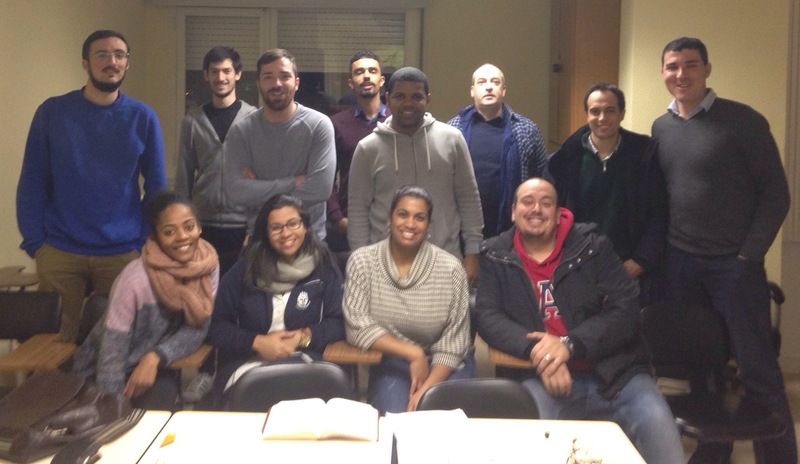 During the past school year, I’ve been teaching Old Testament survey at a seminary here in Portugal. 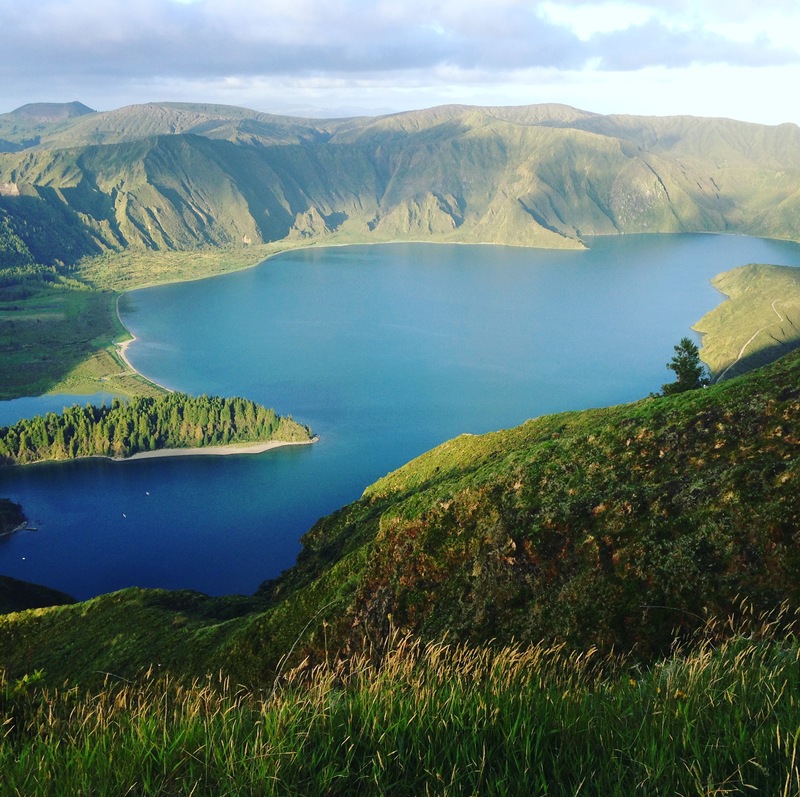 During the fall semester, I taught a class on campus, but during the spring semester I’ve been teaching through distance learning to ten students in the Azores islands. Every Friday night, I sit in my living room and teach for three hours through a web cam to the students who are gathered in three locations on two different islands. Despite the distance and the technical challenges we sometimes face, the class has gone well, and we all have enjoyed the experience. At the beginning of the semester, I promised the class that I would come and visit them. 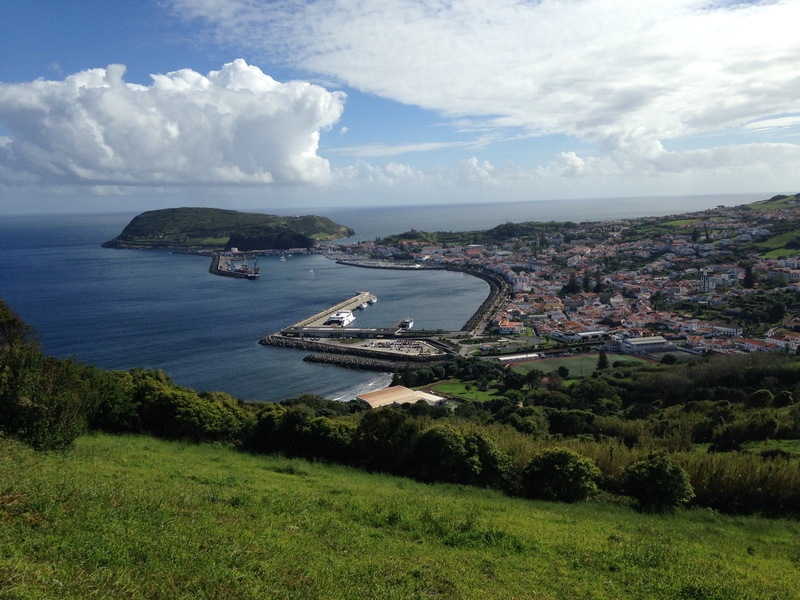 Last week, I had the privilege of traveling to the island of Faial where I spent a couple days with the students and their church. On Friday, we had our class, except this time I was right there with them instead of on a screen. The next day, I taught a class on the doctrine of the Holy Spirit to a group from the church. It was a good time of fellowship, and I enjoyed getting to know the people better. 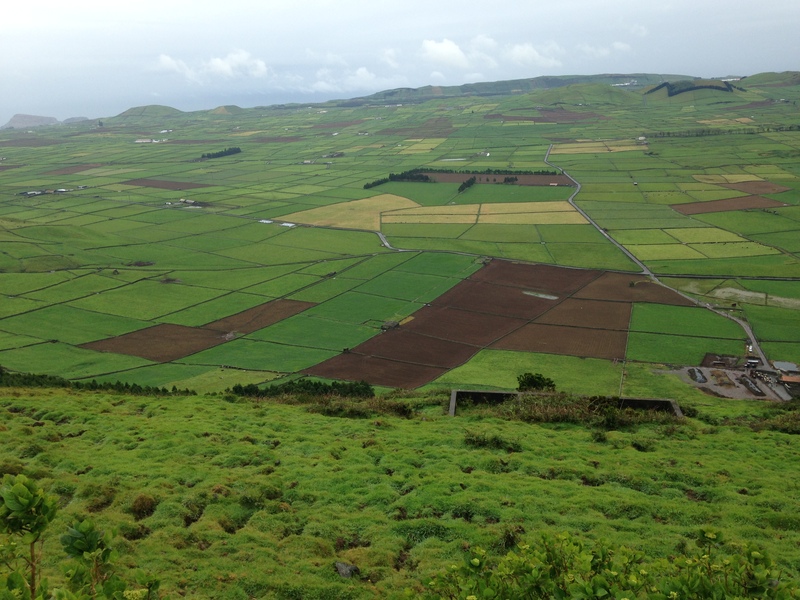 Being in the Azores was a change for me. Since we live just outside of Lisbon, we are used to traffic, a fast-paced life, and all the conveniences that come with living in a big city. 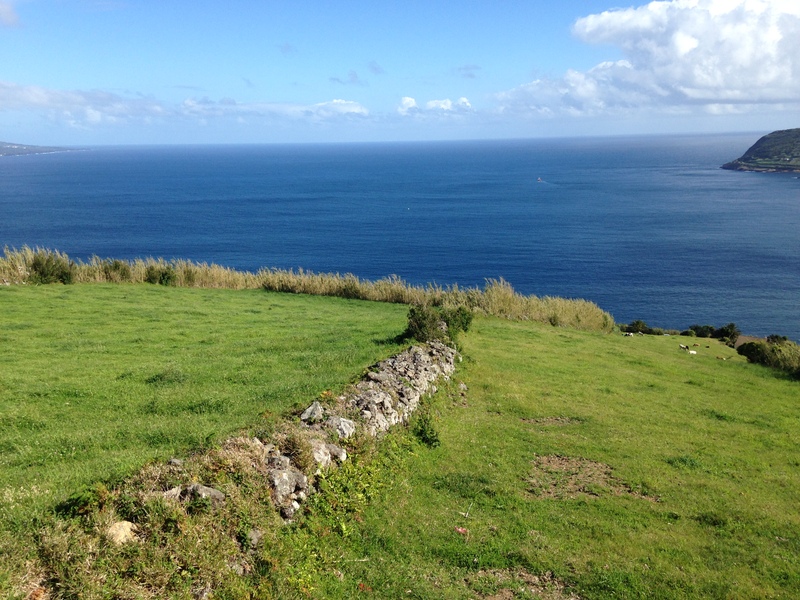 The island of Faial, where I was at, is remote and isolated. With a population of 15,000 people, it’s basically a small town on an island in the middle of the Atlantic Ocean. The scenery is gorgeous and the people are friendly, but there are few born-again Christians. 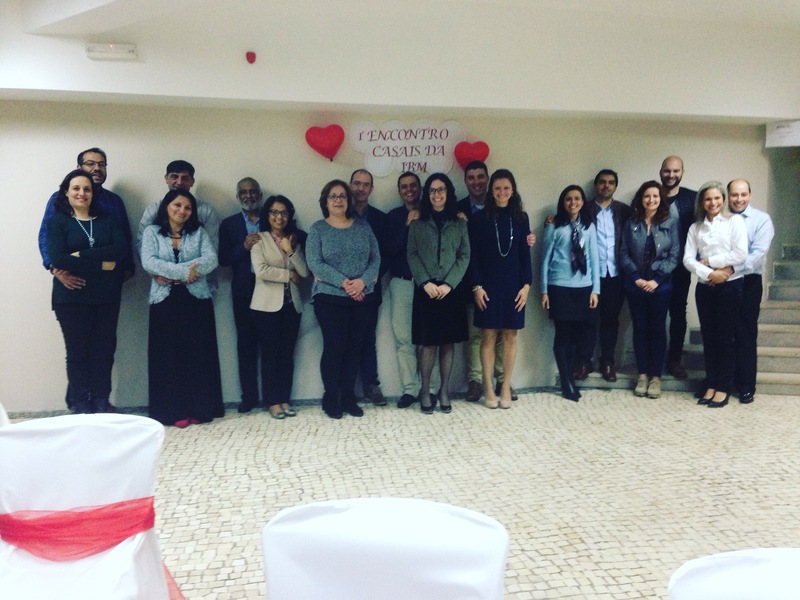 One of our goals when we came to Portugal was to strengthen churches and train leaders. Teaching this class has enabled me to do just that. It is gratifying to see people growing in their knowledge of Scripture and applying that in ministry in their churches. Thank you for your part in helping make all of this possible. Horta is the main town on the island of Faial. There is so much scenery like this. 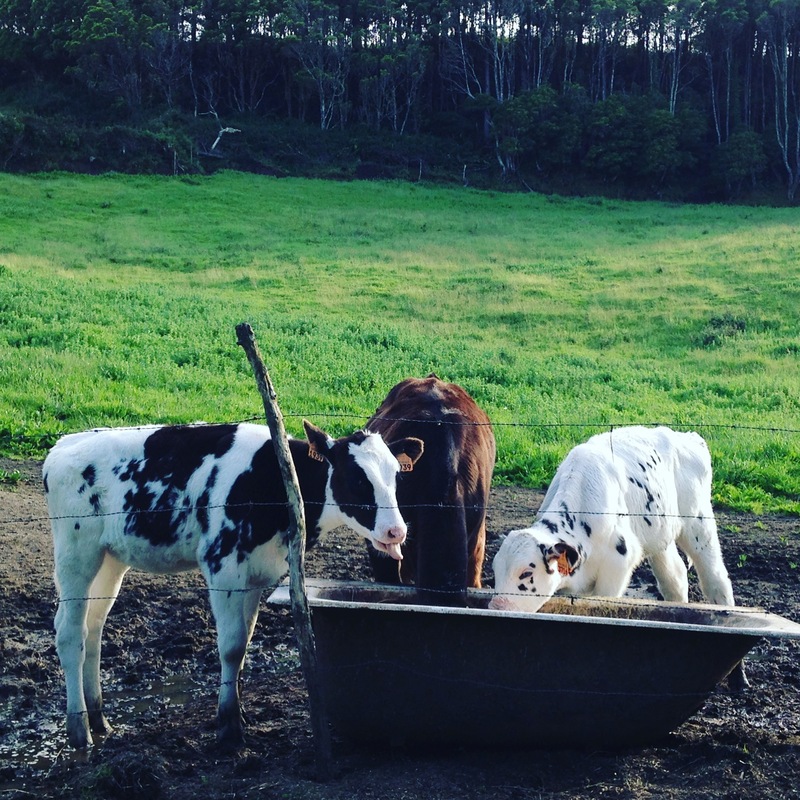 Cows are a big deal in the Azores. 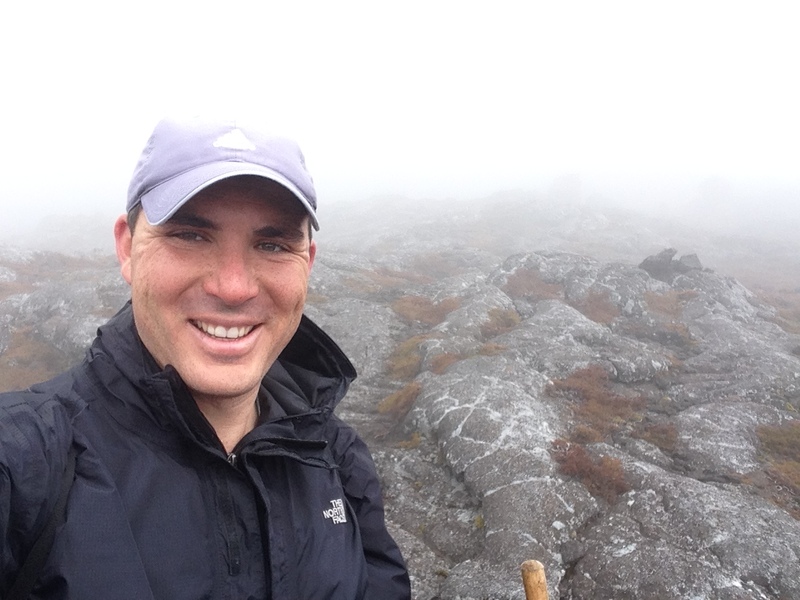 I climbed Pico, the tallest mountain in Portugal. Sadly, this was the view I had from the top. 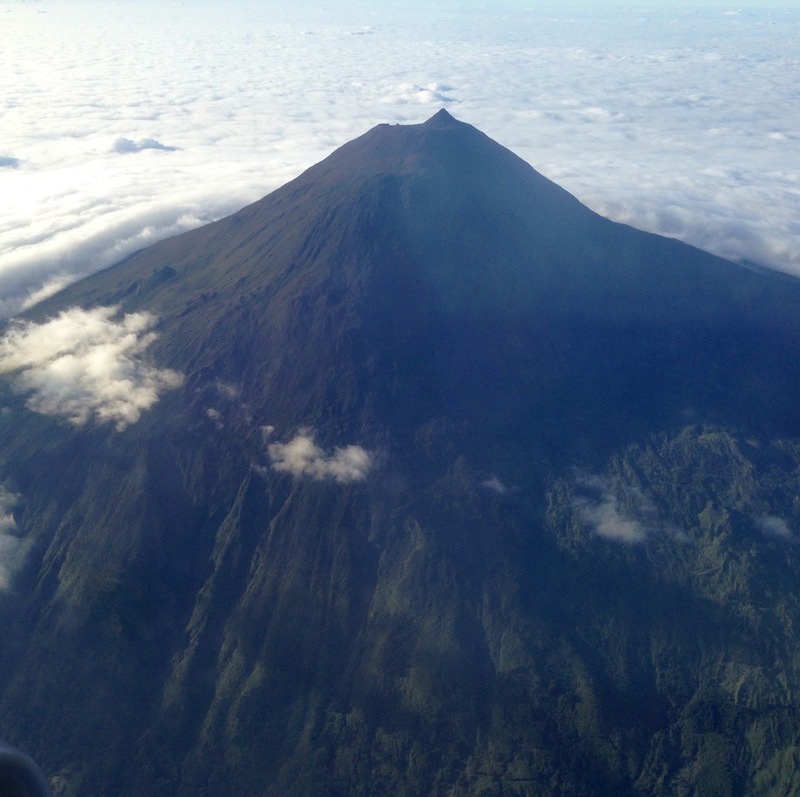 This was the view of Pico I had when I was flying out. Amazing! The best part of the trip was getting to be with these people. Thanful for a good church proclaiming the gospel on this island. Last week, Pope Francis came to Portugal to canonize (declare to be a saint) two children – Francisco and Jacinta. Supposedly, Francisco, Jacinta, and their sister, Lúcia, who was already canonized several years ago, witnessed an apparition of Mary on May 13, 1917. This apparition was repeated six more times on the 13th of every month until October of that year. Over time, these apparitions gained notoriety and pilgrims began to flock to the village of Fátima where the children were from. This village is now one of the most important shrines in roman Catholicism, and millions of people visit every year to venerate and pray to Mary. The pope’s visit captivated the attention of most of the country. Millions stopped to watch the proceedings, and hundreds of thousands of pilgrims went by foot to Fátima. Portugal is an increasingly secular country, but Catholicism remains strong, especially in the north. Many still cherish traditions such as Fátima and all that it entails. I’ve visited Fátima several times in the past, and always left saddened and overwhelmed with a feeling of helplessness. How do you make a difference with something that seems so vast and deeply entrenched in a culture? But this time would be different. A friend of mine and member of our church, Alessandro, invited me to go with him and help a Christian organization that was doing an evangelistic outreach to the pilgrims who were walking to Fátima. There were about eight of us that spent the day on the side of a road. Thousands of people passed by on their way to Fátima and to see the pope. Many of them had walked over 200 miles from towns and villages all over the country. We handed out water, coffee, tea, candy, and fruit. We sang songs, smiled, prayed, and handed out gospel bracelets with a tract. We called these bracelets, “the pilgrim’s bracelet” because we thought it would make it more likely for people to accept them. Who could refuse a “pilgrim’s bracelet”? All day long, groups of pilgrims would pass by. Many times, they would be praying to Mary or singing songs to Mary. Mary was receiving all the attention and affection that is due only to Christ. While we will only know in eternity the effect of our work, it was encouraging to at least be doing something. Throughout the day, we prayed with people, shared the gospel, and showed the love of Jesus. May He be exalted, and may the thousands that gathered to venerate Mary discover that all that they need is found in Christ. Thank you for praying for Portugal! Foot massage for a weary traveler. Coffee, tea, and snacks for the pilgrims. 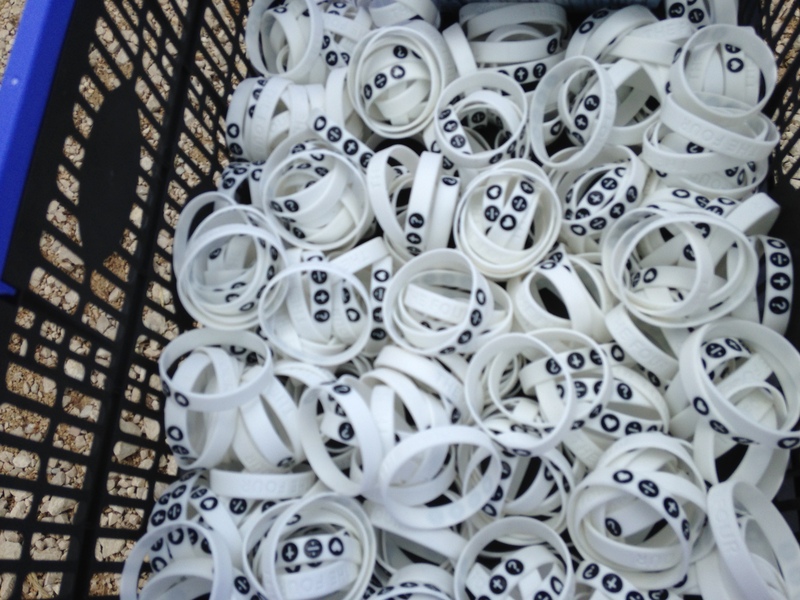 The gospel bracelets we handed out. Thousands of pilgrims passed by us. 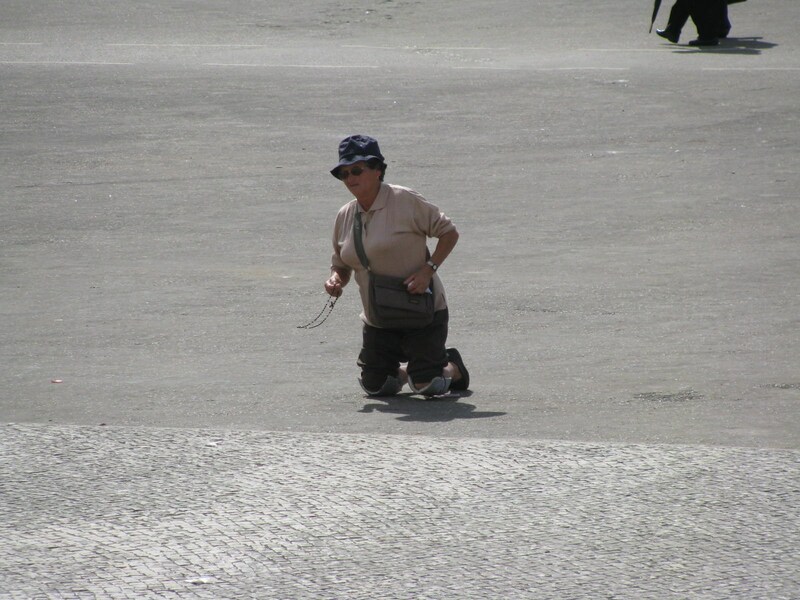 The following pictures were taken on a different day when I was in Fátima. You can see the sadness and despair in the faces of the people. The woman on the left has a very sad look on her face. Writing a prayer letter is always a time of reflection for us. It forces us to ask, “What have we been doing the past month or so?” Many times the answer is “We’re doing the same things we were doing the last time we wrote a prayer letter.” But the truth is that God works in the everyday routine of life. Miracles often happen over the span of several years or decades rather than instantaneously. So, what do we do? We keep planting and watering in the lives of those God has put around us. Here is what some our spring “gardening” has looked like. “What does the Bible say about homosexuality?” “Will we be able to eat in Heaven?” “What happens if you sin after you are saved?” For over an hour, we discussed these and other questions at our most recent teen Bible study. Often I come away from these times feeling frustrated – those that are saved seem to grow so slowly, and those that are not saved seem to be more hard-hearted. However, this time gave me a glimpse of hope. More is going on in the hearts of these teens than I can see. Our couples’ banquet had delicious food and a good message. The best part was that four unsaved husbands came, some of whom do not visit church. Since the banquet, I have started Bible studies with two of those husbands. Please pray for these men, that they will be saved, and for their wives as they live out their testimonies in front of them. One of the couples at the banquet has since joined the church. 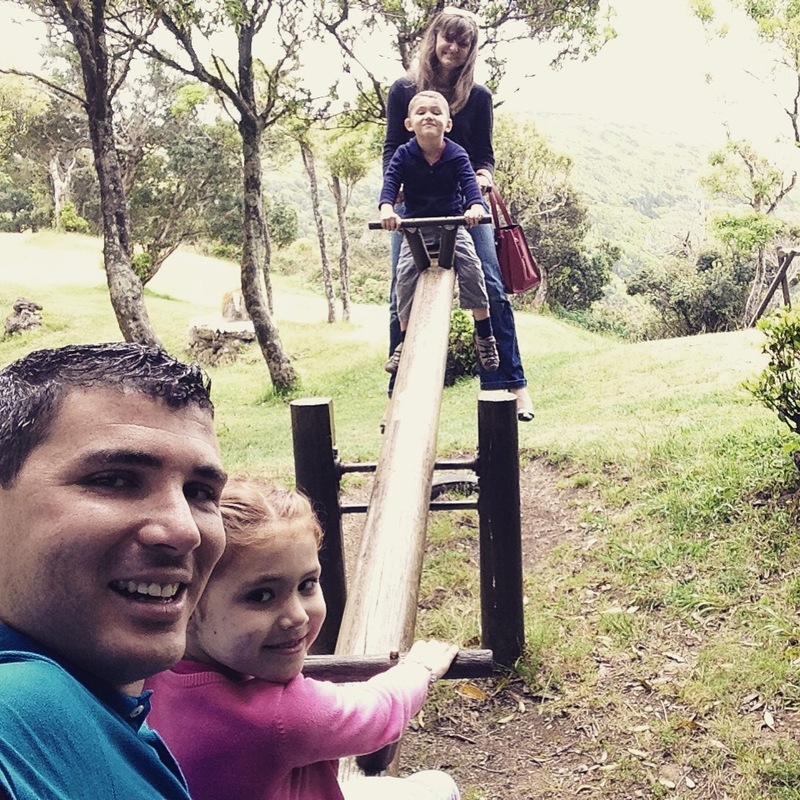 We are thankful for Alessandro, Rute, and their children. 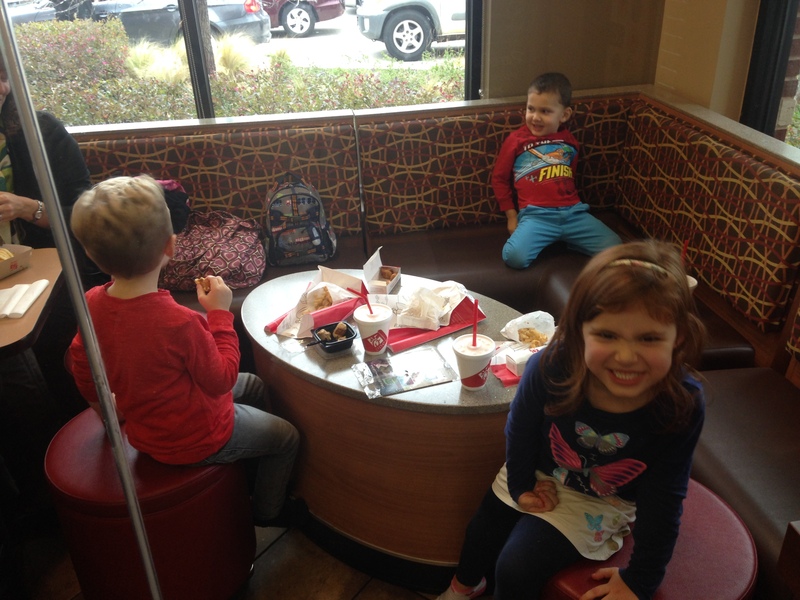 This family has a heart to serve and is already reaching out to the youth group. Over spring break, we brought 11 children to Bible camp about an hour away. Some were from our church, but others were friends or family of our church members. Two of those, Iara and Miguel, accepted Jesus as their Savior! Please pray that they will be allowed to come to church to learn and grow in their new faith. Another area of growth that encourages us greatly is in the area of missions. 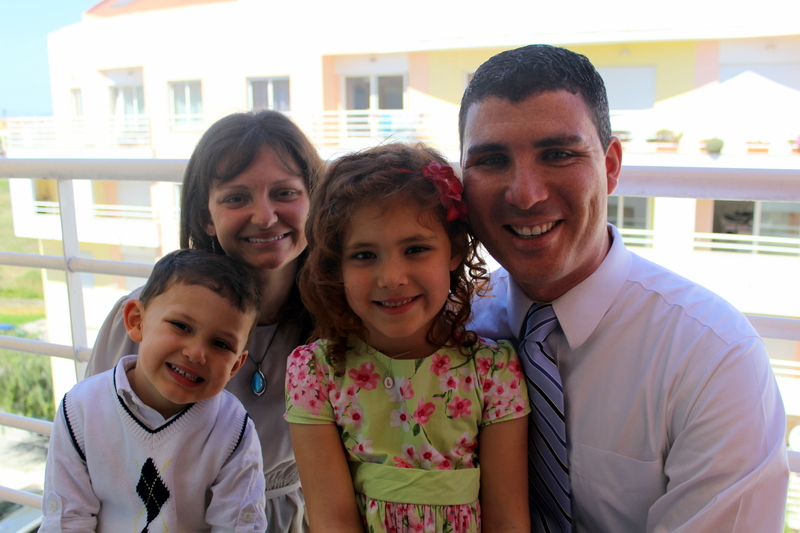 The church recently gave a generous offering to a missionary family in North Africa. 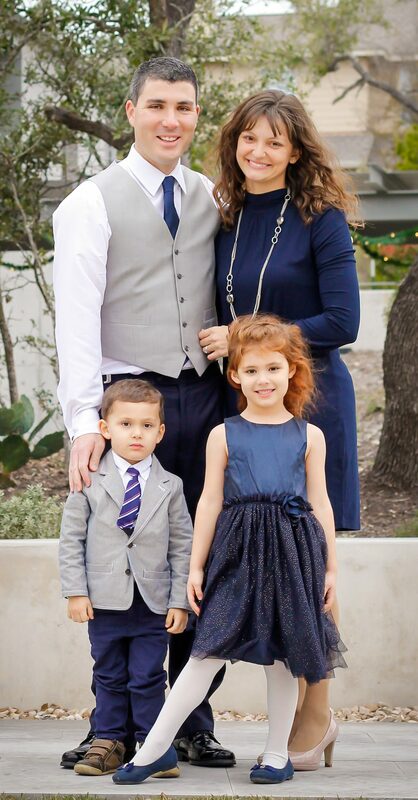 We hope to take our first church mission trip this Fall to visit this family. Our deaf colleague, Amanda, has been doing one-on-one Bible studies with two deaf ladies for months. At our last deaf service, one of the ladies, Denise, said she had accepted Christ as her Savior! Praise God!!! 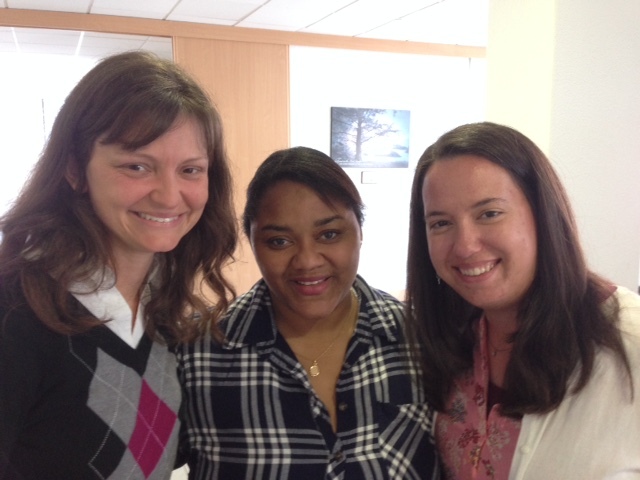 Since we came to the mission field in Portugal, this is the first deaf person we have known come to Christ! We have yearned and prayed and toiled for deaf souls for seven years, and we are finally seeing the first fruit. Please pray for Denise to be a bold testimony to her unsaved husband and friends, and please pray for us as we nurture her. God is working in Portuguese people. For some, it happens quickly; for others it takes years. We are grateful to be here planting and harvesting in the field. This month, we took a big step as a church: we began Sunday school! Come with us on a guided tour. In one corner of the church, the sounds of children singing rings out. Ruben and Susana, a young couple, are teaching their class to memorize the books of the Bible through song. Next door is the 3-5-year-olds’ class. 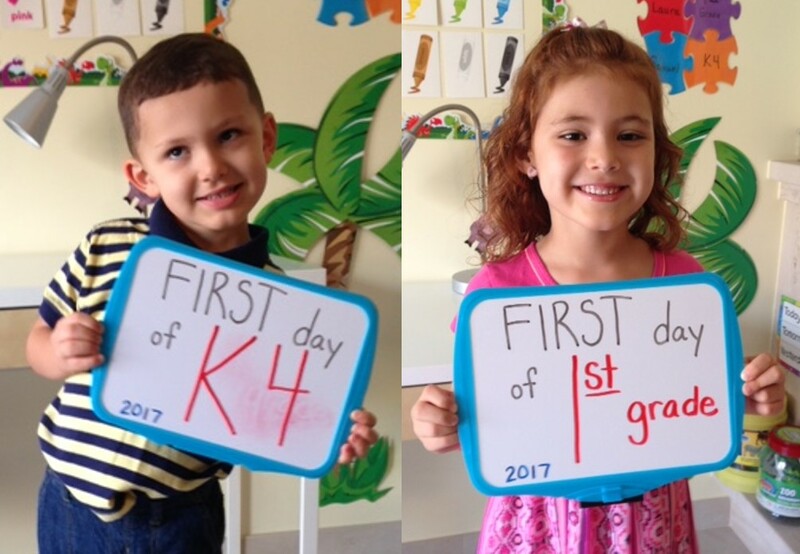 While they are fewer in number, their teacher, Carla, is no less dedicated. She spent many hours last week making a puppet stage. She’s using it now to teach the kids the story of creation. 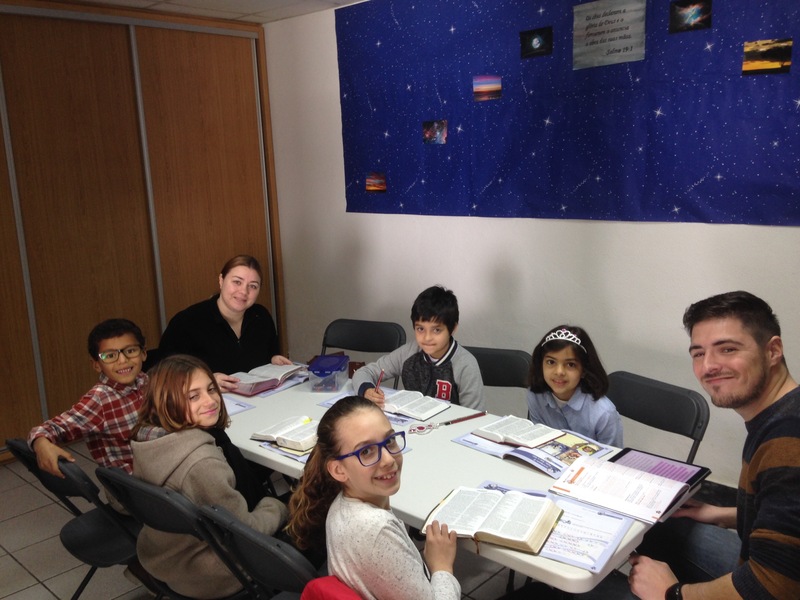 At the other end of the building, Pedro and Filipa, another young couple, are teaching the teenagers about Ephesians 6 and spiritual warfare. Moving on, we see a class we never expected – the Deaf class taught by our missionary colleague, Amanda Bloom. Up until this year, we had always had separate services for the Deaf. But, a handful of the deaf want to meet each week for their own Sunday School and join the interpreted church services as well. Portuguese Sign Language lacks many religious signs, so, today in Sunday School, Amanda is explaining what a prophet is, and the deaf are deciding what sign they will use for “prophet”. Finally, in the main area of the church, Sérgio is teaching the adults about wisdom from Proverbs. Seeing all of this makes our hearts soar with gratitude and excitement. The most gratifying part in all of this is seeing the dedication of the teachers and how they are beginning to disciple the lives of those in their classes. Pray for our family. Pray that God would protect and bless our marriage. 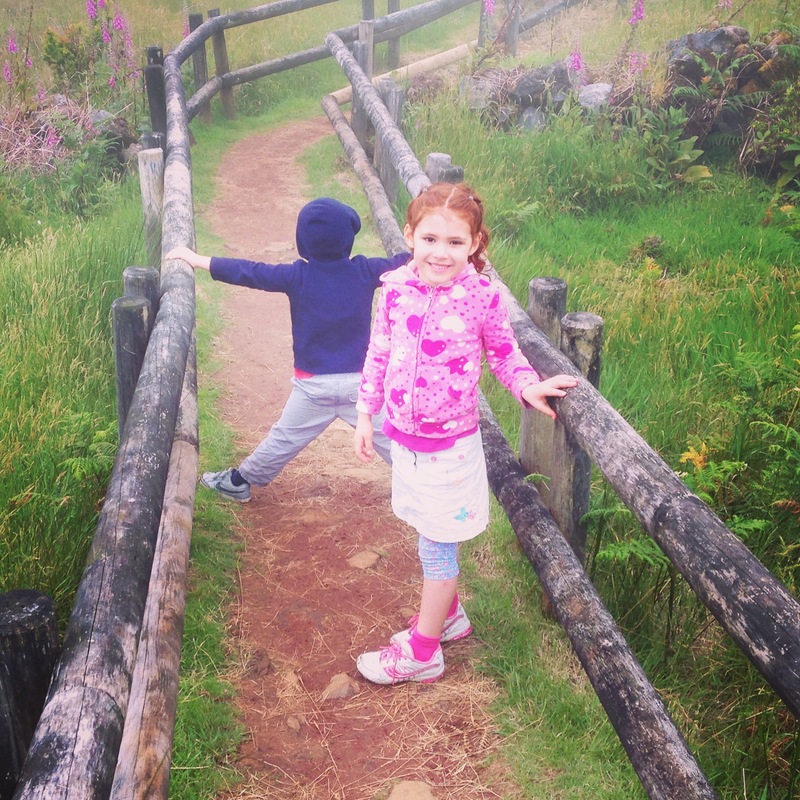 Pray for Laura and Samuel to grow to love God with all their hearts. Pray that God will give us great wisdom to know how to best use our time. We don’t want to waste the momentum and growth that we are seeing presently. In the weekly routine of life, we want to make the most of the good things God is doing and the opportunities that are before us. Continue to pray for an awakening among the deaf. It is encouraging to see 4-5 deaf in church every Sunday now, but pray for others that seem to be drifting away (Carlos, Sergio, Julia, and Carli). Pray for Paula. She has been coming faithfully to church for nine months now. She takes meticulous notes during the messages and asks great questions. Pray that she will soon call on Jesus to save her. Rejoice that some of the people who had fallen away in the past, such as Florbela and Horácio, seem to be coming back to the Lord. Pray for others such as Mario, who continue to stray. Pray for souls to be saved. 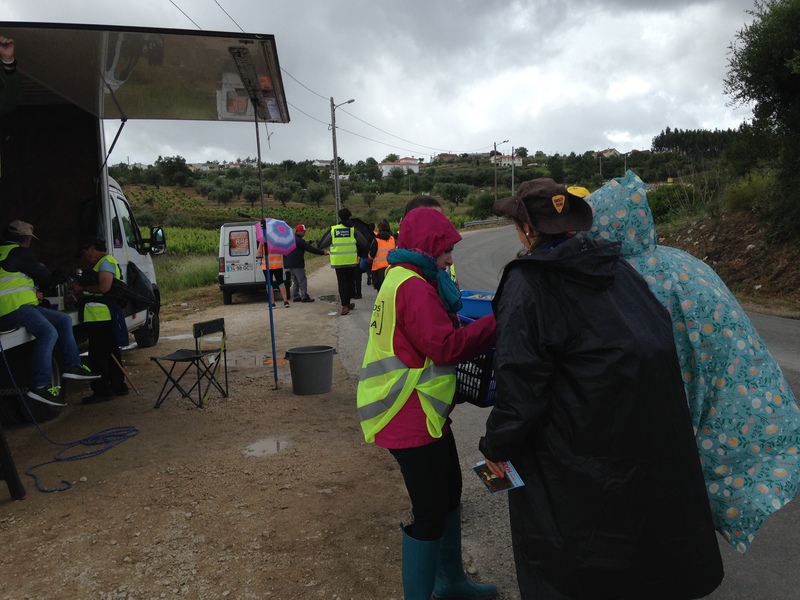 God is doing a beautiful work in Montijo, yet there are thousands who still need Him as their Savior. We want to be a church that supports those within while continuing to reach out. It’s a joy to serve our Savior together with you. May God bless and strengthen you today. A new year brings new changes for our church! When our church plant started almost four years ago, we were tiny and needed assistance from other local churches. Some helped with music, others came simply to make the church feel fuller and more inviting. Most of these helpers served in their own churches in the morning or evening, so we purposely scheduled our service in the afternoon to give them time to travel between their service and ours. Thankfully, over the years, our church plant has grown and taken on the responsibilities others once covered. Thus, we voted to move our service to a more traditional morning hour. This month, morning services began, and they have been very sweet. Attendance continues to be strong, and most people love the change. Most importantly, we moved the hour, so we could officially begin Sunday School. Our teachers’ meeting is Saturday night, and we hope to start classes in February. Please pray that God will give the teachers eagerness and a desire to “rightly divide” the Word of Truth to the children or adults in their classes. The new year is full of new people. God has brought around 20 new people to our church in the past 6 months. All of them are in different stages of their walk with Christ. Some are mature believers who want to serve. Others are new believers or still unsaved. Regardless, they each require time, and each day still has 24 hours. 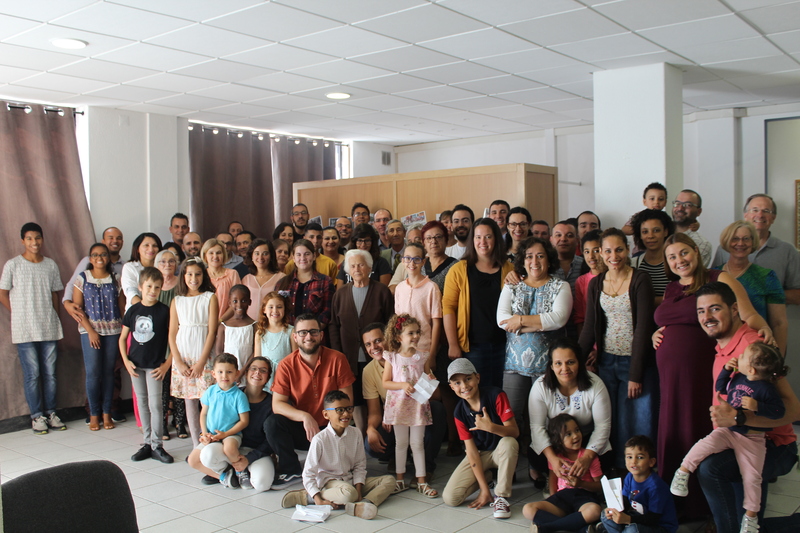 Please pray that we will know how to guide, strengthen, and incorporate each of them into the church in Montijo. Please pray for discernment for us in how to use our time, in whom to invest, and how to properly delegate responsibilities so the church functions well as a body. The new year brings new opportunities with the deaf. From a human perspective, the deaf work seems to be going backwards. 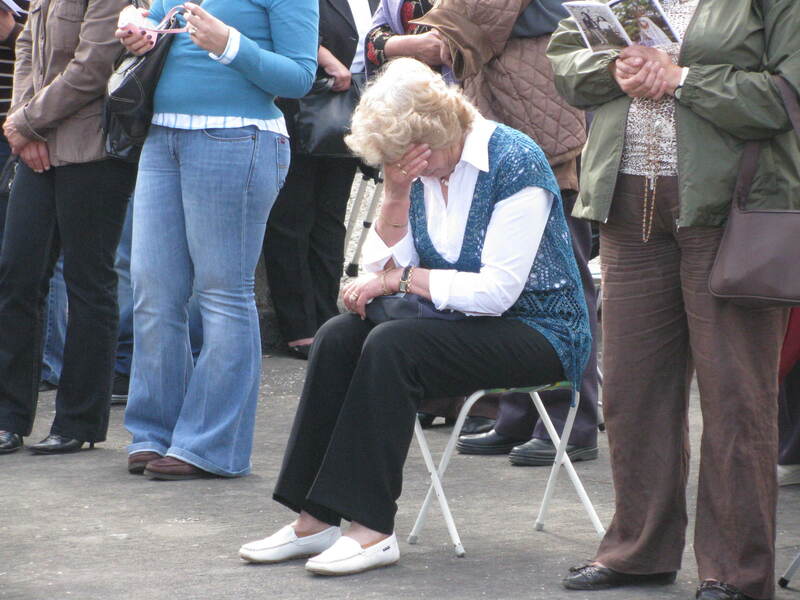 Attendance at services has dropped. They have not stepped out in faith to receive Jesus, and often forget what we have taught them. We look at our colleagues and ask each other, “What more can we possibly do?” However, from God’s perspective, He knows just what He is doing, He loves the deaf more than we do, and He alone can save them. So, “What more can we do?” We can pray more. We often teach concepts that have no signs in their language, and they are both learning the idea creating the sign at the same time. Pray for the deaf to understand and for us to have wisdom. The deaf spend much time at deaf associations, parties, or work, and few have transportation. Pray that they will not use these as excuses, but that they will prioritize learning the Bible. Portuguese deaf have a herd mentality in that they do not want to step out, be different, or even learn something if the whole group does not participate. Please pray they will have the courage to learn the Bible, accept Christ, and follow Him, at the risk of being excluded from their group. We have tried church services, Bible studies in homes, deaf outings, and filming Bible stories and songs in Portuguese Sign Language. Pray that we will not depend on our own ideas and efforts, but rather be vessels for Him to use His way in His hands. Finally, we have a deaf team coming from America this summer. 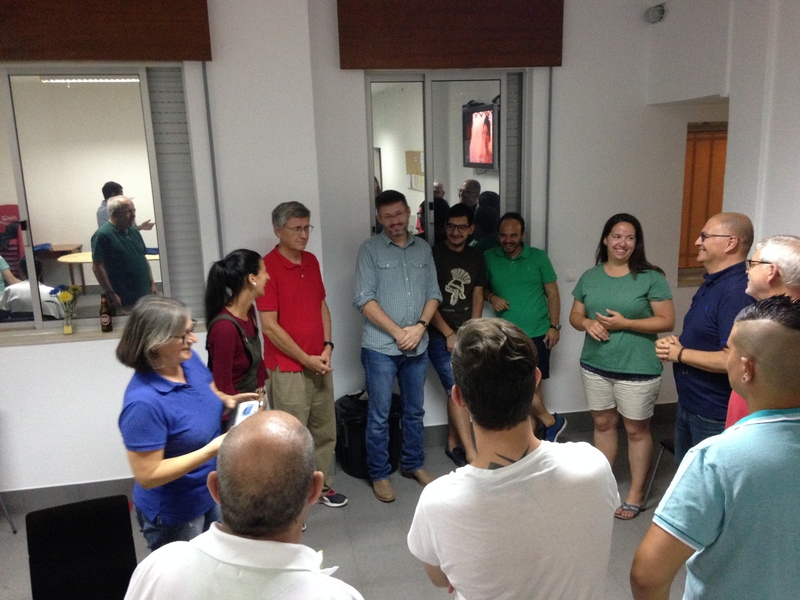 This will be the first time most Portuguese will meet a pastor who is deaf. 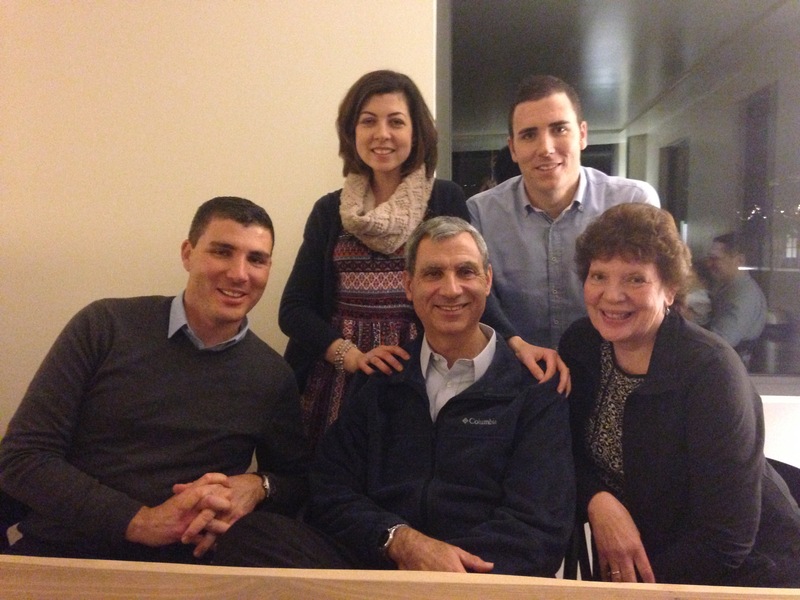 Please pray for God to use the deaf pastor and deaf team as He wants to reach the deaf in Portugal. We are looking forward to seeing what God does in Portugal in 2017. All for His glory! As we reflect on the year gone by, we can’t help but be filled with appreciation for all that God has done. 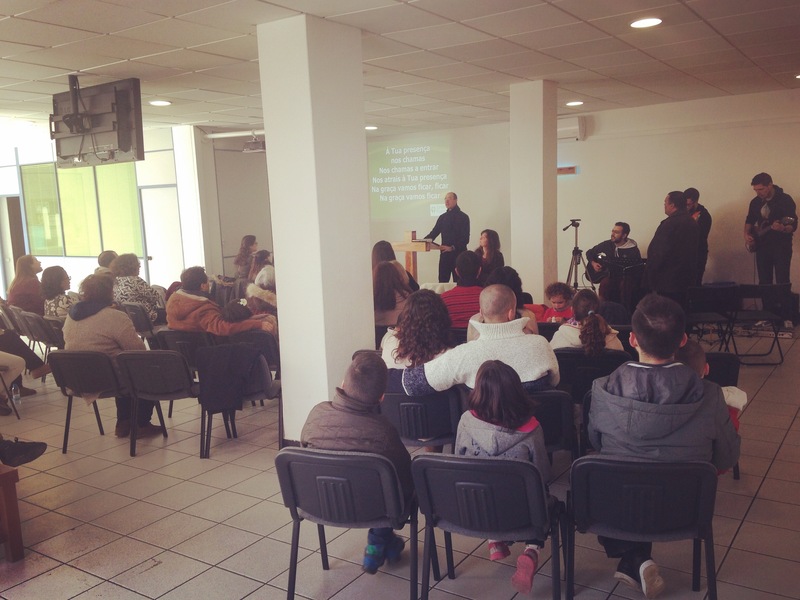 People who read and watch our updates and deeply care about the work of the gospel here in Portugal. The twenty-two people from our partner churches who came and served with us this year. They encouraged us greatly, and their work is bearing fruit to this day. 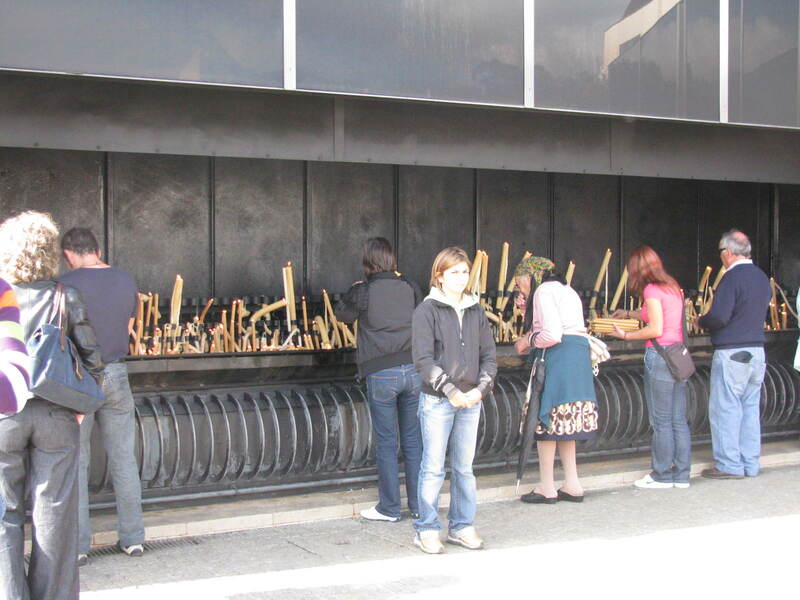 The hundreds of people who faithfully pray for us every day or week. God hears and answers your prayer. The messages of encouragement, cards, Skype calls, and letters we receive. The many churches and individuals that support us financially. It never ceases to amaze us how God provides for every one of our needs and even beyond that. 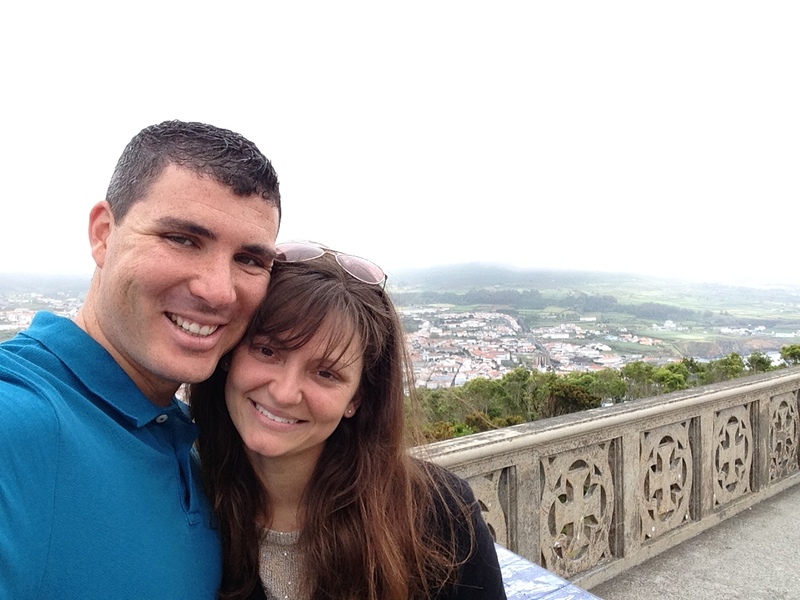 Thank you for giving generously so that we can serve here in Portugal. We pray that God will fill your lives with great peace and joy in the year to come. 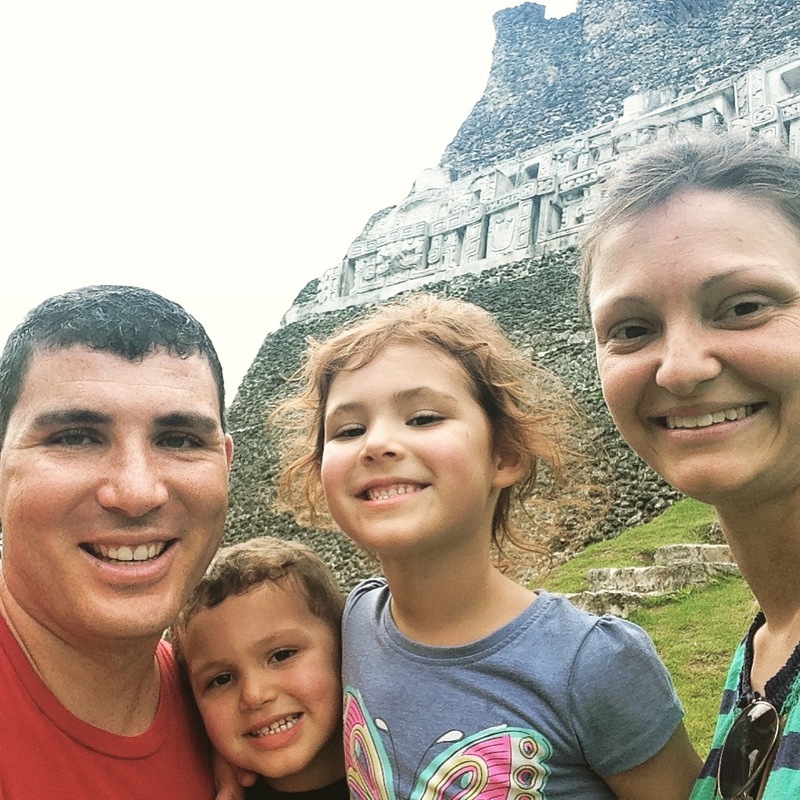 We were blessed to attend David’s brother’s wedding in the States and see his family . . .
. . . and on the way back we saw Sarah’s parents in Central America where we climbed these Mayan ruins. 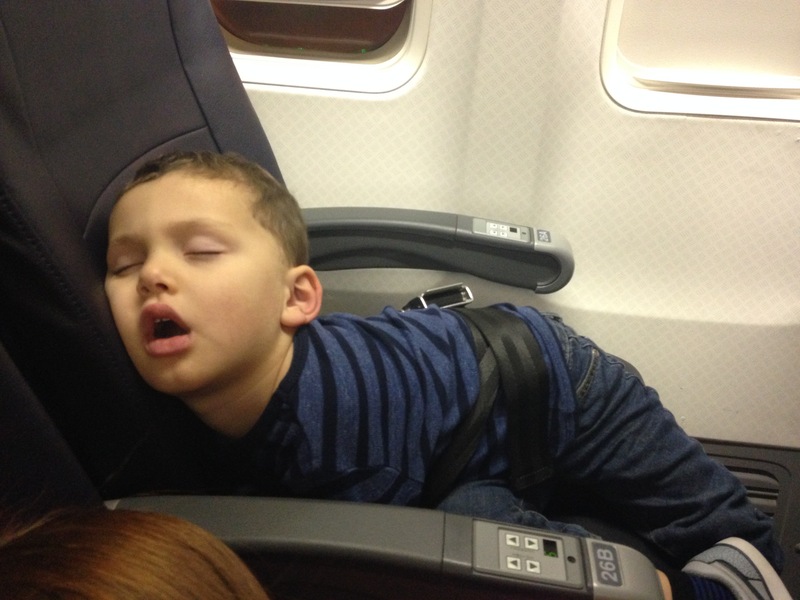 It has been a long day.